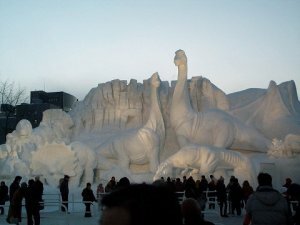 Japan – every day's a holiday! At under half a million residents, Nagasaki isn’t one of the biggest cities in Japan, but it throws one of the biggest festivals in the Land of the Rising Sun. The Nagasaki Kunchi Festival, or O-kunchi Matsuri is celebrated from October 7th to October 9th every year. Kunchi means ninth day—ku nichi. 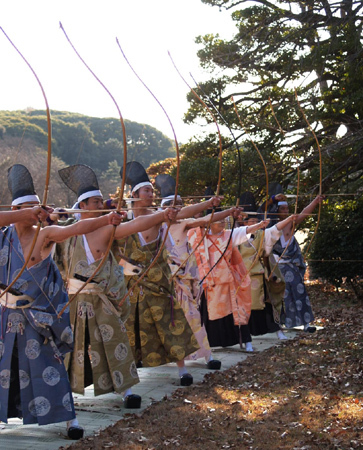 The autumnal festival includes magnificent parades and processions, but what it’s world-famous for is its show-stopping dance-travaganzas performed over the three days across the city with its center-point at the Suwa Shrine. Imagine “Nagasaki’s Got Talent,” except instead of performing as individuals or pairs, the city’s proud boroughs, or machi, face off in elaborate communal group dances. The routines, each lasting about a half hour, can include massive, intricate floats and moving props, beautiful costumes, and brilliantly choreographed moves, all centered around a cultural or historical theme, each neighborhood showing its pride and out-doing the others. The show is televised nationally. Sources say the festival itself was the result of competition—religious competition. Back in the 1500’s, Nagasaki’s position in the southwest of Japan made it an ideal landing spot for Portuguese and then Dutch navigators and traders making their way from India. Along with the traders came the missionaries, and Nagasaki became an early Christian stronghold. During the reign of Tokugawa Hidetada (r. 1605-1623), Christianity was persecuted, and the Suwa Shrine was built in 1614 as the focal point of the Shinto revival in Nagasaki. Of course, shrines alone don’t win converts, or de-converts for that matter. To compete with the Christian Easter processions, Nagasaki’s O-kunchi Matsuri was established in 1634. One of its original intents was to root out Christians, but by the 1690’s even the Dutch had box seats to the celebration. 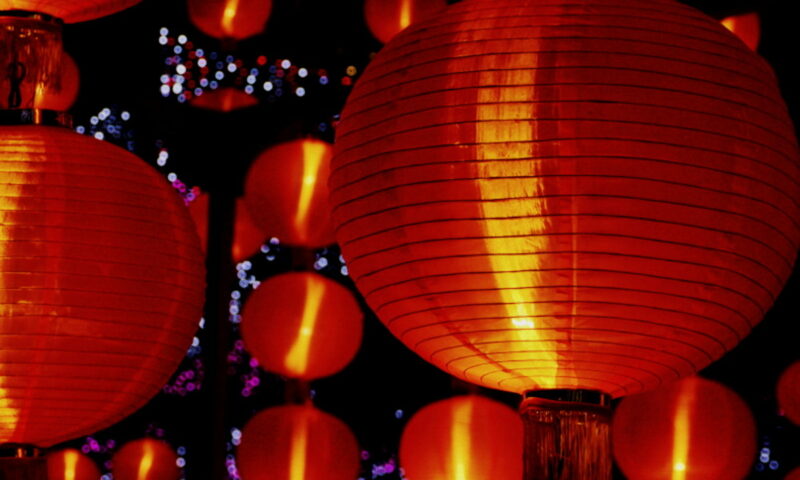 One of the set pieces of the festival is the ancient Dragon Dance, stemming from the Chinese New Year’s tradition. Even back in the 17th century, Nagasaki boasted a large Chinese population. Dance routines and performances often give a shout out not only to Nagasaki’s Japanese heritage but to its multicultural past. In August, Nagasaki is home to one of the country’s most moving commemorations. Just seven decades ago, Nagasaki was virtually incinerated by the world’s third atomic explosion at the end of World War II. Miraculously, the Suwa Shrine survived intact. Every year on August 9, residents gather at the Suwa Shrine on the anniversary of the bombing to remember the 70,000 townspeople killed in the attack. Japanese Festivals, Helen Bauer and Sherwin Carlquist. 1965. Favorite foods are prepared for the departed, such as Ohagi (soft rice balls covered in sweetened bean jam), sushi, and vinegar rice & veggies. On the last day of the week, rice flour dumplings, special fruits and sweets are offered. 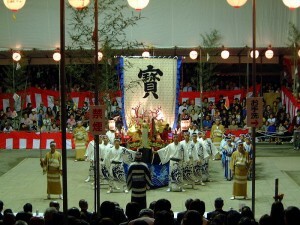 The O-higan days have been celebrated in Japan since the 8th century. The name Higan literally means, “the other shore” and is short for Tohigan—to arrive at the other shore. The 6 Pāramitā are the bridge that will enable us to cross over to the other shore of Nirvana. 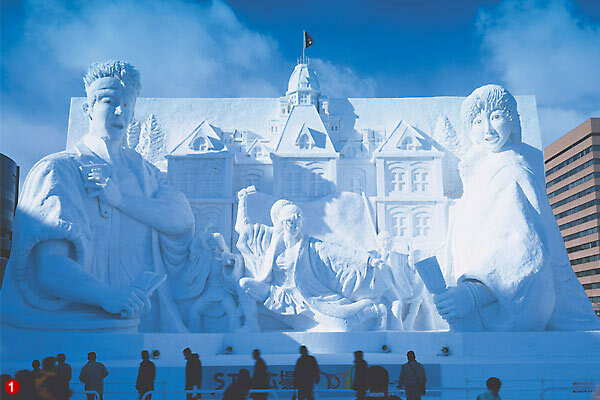 White Day is the complementary holiday of Valentine’s Day in Japan, South Korea and Taiwan. Valentine’s Day is celebrated as well, but a little differently than in the U.S.
On Valentine’s Day women generally give gifts of chocolate and the sort to the men in their lives: giri choco (obligatory chocolate) and honmei-choco (chocolate with a romantic connotation). The counter-holiday, White Day, was promoted in the 1980s by the confections industry. One month after Valentine’s Day men relieve their guilt at receiving such gifts by buying the women in their lives chocolate in return. The March 14 chocolates generally cost 2 to 3 times as much as Valentine’s Day chocolates, and are boxed in white boxes, hence the name White Day. I tend to avoid reporting on holidays promoted by the chocolate industry. Not out of any dislike of chocolate. On the contrary it’s my favorite food group. But there’s generally no rationale or history for the holiday other than to promote a particular confection. And depending on which calendar you look at, virtually every week in the year has a chocolate or candy holiday associated with it. This week, for example, is American Chocolate Week. 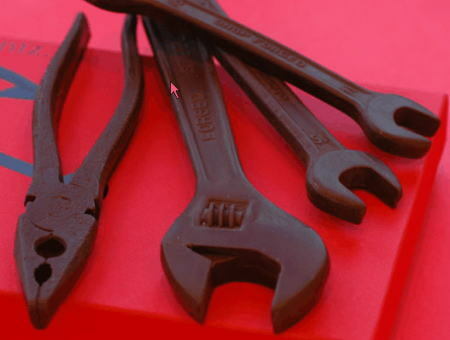 April hosts National Licorice Day, Chocolate-Covered Cashews Day and Jelly Bean Day. And National Chocolate Day? It’s on July 7. You get the picture. There’s not any scrumptious chocolate candy combination you can name that doesn’t have its own holiday. So why December 28 and 29? My guess, two more chances to indulge before those dreaded New Year’s resolutions kick in! If you’re in Japan, enjoy a delicious, calorie-laden White Day! And if you’re in North America, I recommend celebrating two days at once with a delicious home-made Chocolate Pie. After all, March 14 is also Pi Day! It’s Hina Matsuri, or Doll Day in Japan. But no, your old “Tickle Me Elmo” and Molly McIntire won’t cut it. These dolls are often handed down from generation to generation, and are displayed in a very ritualized manner once a year. A full set of “Hina Ningyo” dolls can cost anywhere from $400 to $10,000, and consists of roughly 15 pieces—“figurines” may be a more accurate term. 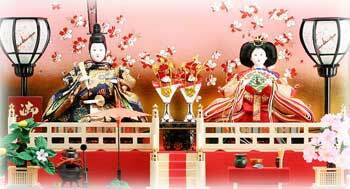 The main two dolls are the O-Dairi-sama and O-Hina-sama, an Emperor and an Empress/Princess, both dressed in fine silk. On the top step sits the Royal Couple. On the next step are the 3 kanjo with banquet trays. The holiday is also called Momo no Sekku, meaning Festival of the Peach. In the old calendar the day coincided with the blossoming of the peace trees in Japan. 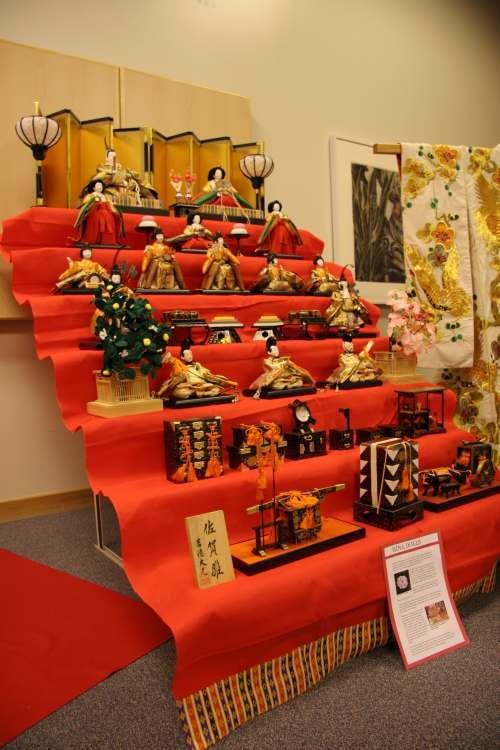 In American culture there is no equivalent to Hina Matsuri, but it might be compared to a chess set meets a nativity scene, although the dolls do not refer to any specific personages. Written references to the holiday date back a thousand years. It grew out of the belief that these human representations could absolve oneself from sin. Traditionally, people would make dolls of folded paper or straw, rub them against oneself, and set them in the water, to carry away their sins with the tide. Even today many towns in Japan carry on this tradition. Hina Matsuri became a legal holiday in 1687. It’s hard to say what’s the oldest country in the world is, but the winner might be Japan twice over. First, with an average lifespan of over 80 years Japan has one of, if not the, world’s oldest population. 25% of the population is over 60 (as opposed to 17% in the U.S.). So, along with Andorra, Japan is one of the top two “oldest” countries in the world in that respect. In terms of the oldest sovereign nation without major border changes, many people cite the tiny country of San Marino, which declared itself a constitutional republic in 301 AD. Founded by a Christian stonemason (Marinus of Rab) fleeing persecution, San Marino lies entirely within Italy. But a thousand years before Marinus the Mason drew his first breath, Emperor Jinmu (also Jimmu) founded the nation of Japan, making it the oldest nation in the world by many accounts. Japanese schoolchildren learned the above declaration by heart right up through World War II. 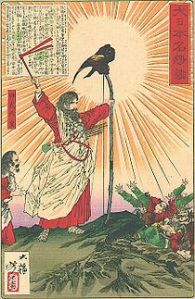 During Japan’s modernization in the 1870’s, the Meija government (Meija means “enlightened rule”) switched the country over to the solar calendar, and calculated the date of the founding as February 11, 660 BC. Kenkoku Kinen no hi (National Foundation Day) celebrated the country’s unification 2500 years earlier and the divinity of the Emperor. During the American Occupation, celebration of Kenkoku Kinen no hi was banned because of its glorification of the Emperor. However the ceremonies were brought back by popular demand in 1966 and carry on strong today. Though the Japanese may no longer believe the Emperor’s blood descends from the Sun, even to this day the red sun shines front and center as the proud symbol of the Japanese flag. 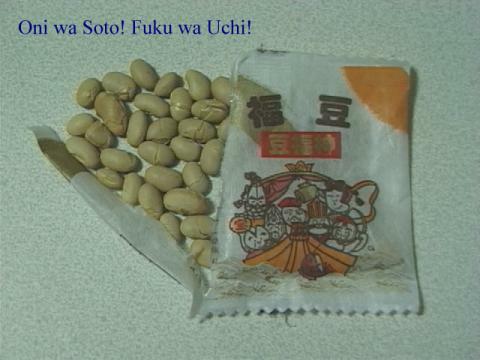 Once a year in Japan, the land of order and politeness, it is considered perfectly acceptable behavior for children to hurl beans and peanuts at their classmates without reprimand. That day is today, Setsubun, or Lunar New Year, and understandably, kids more than anyone carry on the tradition. Though Setsubun lacks the weight it commanded back in the 8th century, many Japanese do not let this day pass without tossing at least a few legumes inside and outside for good luck. Mame Maki bears resemblance to the tradition at Western weddings of throwing rice grains to represent fertility. Like American children on Halloween, Japanese schoolchildren wear Oni masks to represent the demons while their peers gleefully pelt them with beans and nuts, as an American schoolteacher in Japan describes here. Traditionally soybeans have been the projectile of choice, but recently peanuts have been picking up steam. Both are sold in stores in small packets. Another tradition is to eat the number of beans of your age today, plus one for the coming year. This evening families eat a special thick sushi called futomaki, or hutomaki. And they eat while facing a “lucky” direction–which differs each year. Other ways to ward off the demon include piercing the head of a sardine with a holly branch and hanging it in a doorway. Also, celebrities born under the current year’s zodiac sign (ie. 12 year-olds, 24, 36, 48…) can be seen on TV performing Mame Maki pubicly. Setsubun means “division of the season.” There are four setsubun, throughout the year but the one celebrating the changing of winter into spring has always been the most auspicious. Similar to the Indian Makar Sankranti festivals and Celtic Imbolc, which both mark the coming of Spring. Prior to 1873 Japan used a luni-solar calendar of 355 days. Every few years an inter-calaria month of 30 days was added to keep the lunar calendar in line with the solar. After Japan adopted the Gregorian calendar in 1873, the spring festival began to wane, as Japan began celebrating New Year’s with the rest of the Gregorian world on January 1. 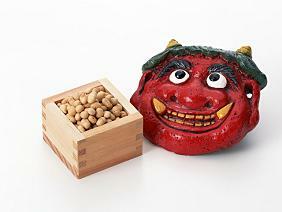 Setsubun used to be celebrated on the second full moon after the solstice. It now occurs every February 3. Setsubun Protest 2010: Luck in! Peace in! Military bases out! Almost every society has a coming-of-age rite, be it confirmation, bar mitzvah, high school graduation, or my favorite: passing your driver’s test. In Japan that rite is one’s 20th birthday. However, it’s not an individual celebration. The entire nation of 20 year olds celebrate their birthdays on the same day. That’s today, the second Monday of the New Year, Seijin no Hi…aka, Coming of Age Day. 20 is the legal age of voting, drinking and smoking, and the age of civic responsibility. Young men wear their finest suits. 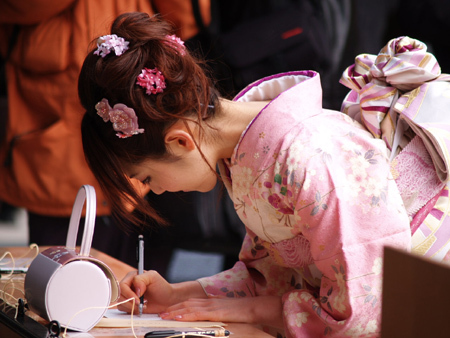 Women wear furisodes, special formal kimonos for unmarried women, which can cost a million yen, or $10,000, although that is coming down. The event is so popular that appointments at beauty salons must be made months in advance, and can set parents back a grand. Within the beauty world Coming of Age Day is an industry in itself. Women will begin arriving at the salons at 5am, and salons are prepared to handle over a hundred women in just a few hours. Girls reaching adolescence were given a similar ceremony and dressed in special kimono attire to symbolize to the community their readiness for marriage.